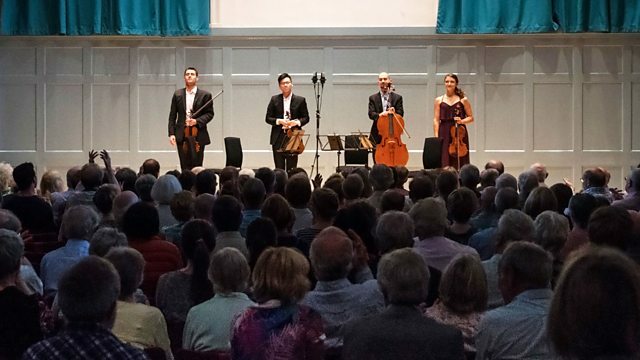 Philadelphia's Dover Quartet perform works by Haydn, Zemlinsky and Bartok at their Edinburgh International Festival debut. Live from the Queen's Hall, the Edinburgh International Festival debut of the Dover Quartet. One of the world's most exciting young string ensembles and winners of the Banff International String Quartet competition perform works by Haydn, Bartók and Zemlinsky, that are by turns influential, folk-infused and turbulent. INTERVAL: Beethoven: National Airs with Variations, Op. 105 (a selection), Ronald Brautigam - fortepiano.